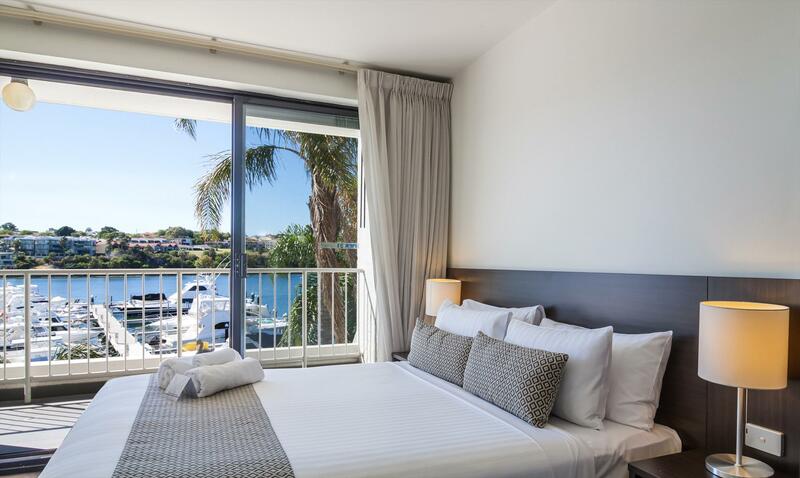 Pier 21 Apartment Hotel is superbly positioned on the banks of the Swan River in the prestigious area of North Fremantle. Apartments are newly refurbished with quality furniture and fittings, including fully equipped kitchenettes with full size fridge, microwave, dishwasher draw and ceramic hotplates, Queen size bedding, Italian leather lounge, 40 inch LCD TV's, multimedia connectivity, Wi-Fi and broadband, self controlled air-conditioning and heating and work desk. 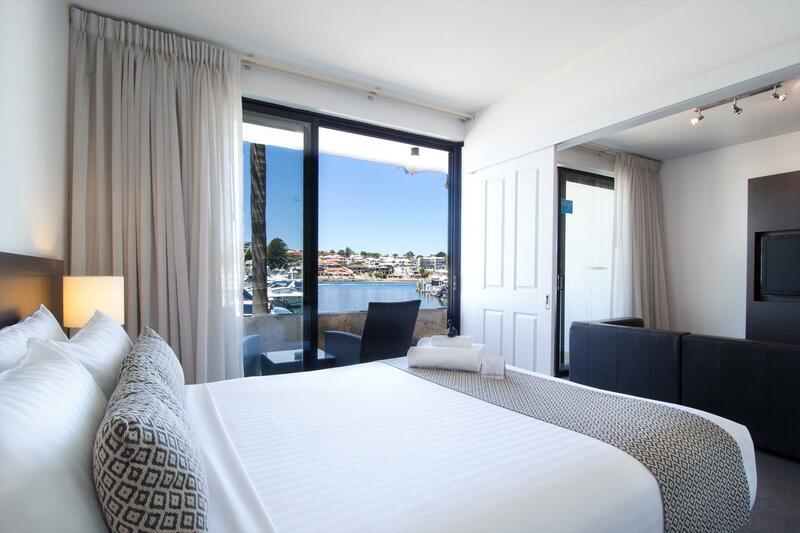 Most apartments offer views overlooking the Swan River from the furnished balcony or terrace. Riverside Suites offer the ultimate in superior accommodation in Fremantle, appointed with life's little luxuries, including King size bedding with duvets, 32 inch LCD TV in the bedroom and a 50 inch Plasma TV in the living area, Italian leather lounge with day bed, Caesarstone bathroom with feature wall and rain shower, Nespresso coffee maker, iPod Dock, multimedia connectivity, Wi-Fi and broadband internet, self controlled air-conditioning and heating, large executive work desk, kitchenette with stainless steel appliances and furnished balconies with Swan River views. Pier 21 Apartment Hotel features a heritage reception area capturing the true essence of Fremantle whilst the modern hotel design allows for a host of leisure facilities including a state of the art fitness centre, tennis court, indoor pool and spa, outdoor pool and BBQ area and an inviting breakfast lounge. 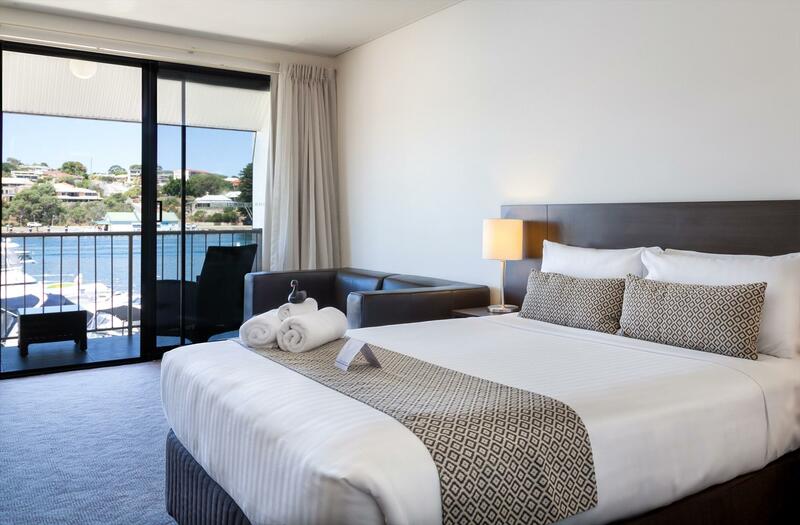 The hotel is located within easy reach of the historical port of Fremantle, pristine beaches, public transport and major tourist attractions including the Fremantle Markets, Maritime Museum, Fremantle Prison and Rottnest Island Ferry Terminal. 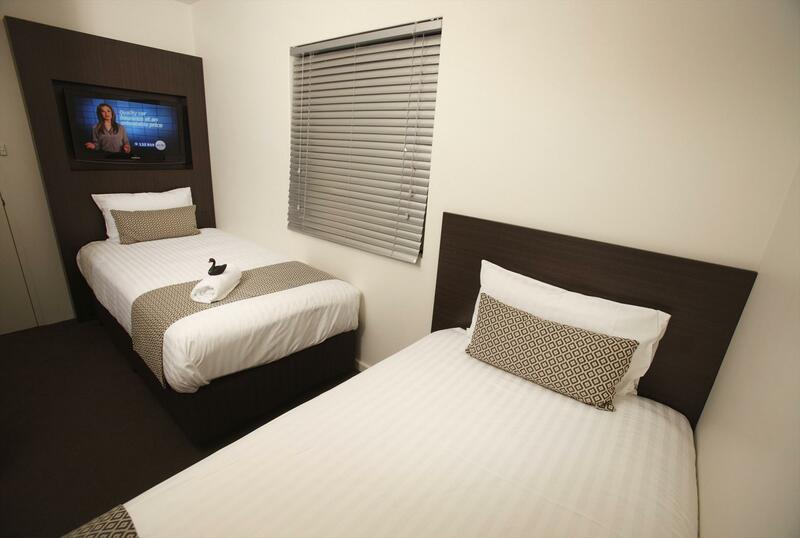 Pier 21 Apartment Hotel is the ideal Fremantle accommodation choice for business or leisure travellers. Offering 47 newly refurbished self contained serviced apartments comprising of Executive Studio, One Bedroom and Two Bedroom Apartments plus luxuriously appointed Riverside Suites. Newly refurbished Executive Studio Apartment with queen bedding, 40 inch LCD flat screen TV with Movies on Demand, broadband internet, WiFi, multimedia hub, Italian leather lounge, kitchenette with dishwasher drawer, full size fridge, ceramic hot plates and microwave. Most apartments offer views overlooking the Swan River from the balcony. Newly refurbished Executive One Bedroom Apartment with queen bedding, 40 inch LCD TV with Movies on Demand, broadband, Wi-Fi, multimedia hub, Italian leather lounge, dining table with chairs, work desk, kitchenette with full size fridge, dishwasher drawer, hotplates and microwave. Most apartments have views of the Swan River from the balcony. Newly refurbished Executive Two Bedroom Apartment with queen size bedding in master bedroom and two single beds in the second bedroom. Features include 40 inch LCD TV in living area and 32 inch LCD TV in second bedroom, Italian leather lounge, dining table with chairs, work desk, multimedia hub, Wi-Fi, Broadband, kitchenette with full size fridge, dishwasher drawer, microwave and hotplates. Most apartments have Swan River views from the balcony. Newly refurbished Executive Two Bedroom Apartment with two queen beds. Features include 40 inch LCD TV in living area and 32 inch LCD TV in second bedroom, Italian leather lounge, dining table with chairs, work desk, multimedia hub, Wi-Fi, Broadband, kitchenette with full size fridge, dishwasher drawer, microwave and hotplates. Most apartments have Swan River views from the balcony. 24 hours cancellation policy. Cancellation fee of one nights accommodation will be charged.